PUTRAJAYA: The biggest challenge in preparing the Budget 2018 is in fulfilling the people’s expectation and how much of it can be accommodated, says Prime Minister Datuk Seri Najib Tun Razak. In briefing media editors here yesterday, the premier said his budget team had toiled for hours over long sessions to prepare the Budget 2018 as everybody’s expectations were high. 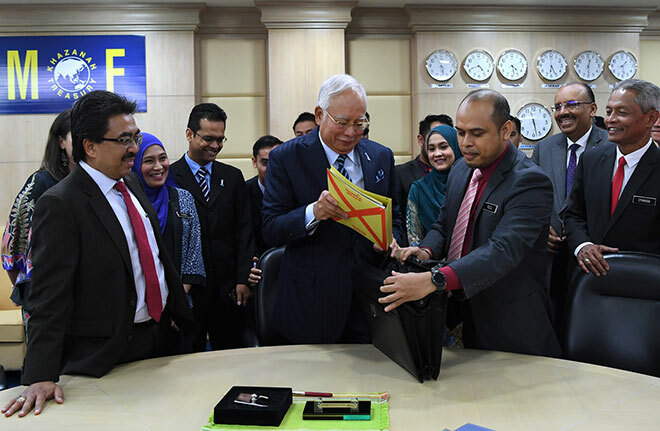 Najib expected the people to have an understanding of what a budget means as it must reflect the sound economic, financial and fiscal management of a country. The Budget 2018 will be tabled in Parliament today and for the first time, it will be at 3.30pm. “It starts at 3.30pm for the first time because Maghrib is at 7pm.We want to make sure that there is time for Asar prayers and it won’t prolong into Maghrib. “We cannot change the time of Maghrib but the Budget time can be changed,” he said, adding that the speech would not be too long although he had a lot to say. While it is easy to label as such, Najib said the government has in fact been consistent in introducing its projects. He pointed out that the proposed Opposition budget was even more populist. “The Opposition budget is not based on facts and figures and will create a big hole in government finances. “They do not have a cohesive leadership and this is reflected in their budget proposals which lacked credibility and consistency. “It shows that their measures are purely populist but cannot be backed by substance such as revenue. The measures are not doable so, therefore not sustainable,” he added. As for the Opposition getting a fair share of the Budget 2018, he said it was a moral duty to do so. “Some of the things, for example like water supply, is the moral duty of the federal government to ensure water supply. “We cannot deprive the people from getting clean water just because we don’t rule their states. Even some of the highways run through opposition-controlled states.